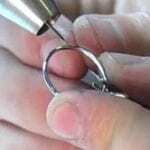 Master the tools and techniques for jewelry repairs. 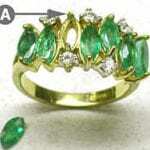 Our articles cover everything from resizing rings to repairing emerald jewelry with lasers. 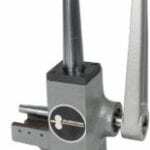 How to open and close a #30 hand piece without using the chuck key. 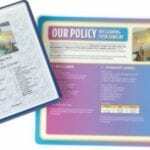 These repair order forms highlight specific areas to indicate issues for jewelry or watch repair. 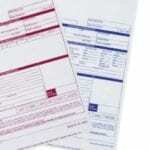 The triple form allows for individual copies for record keeping and customers. 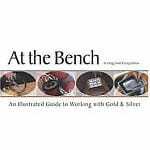 This soft back book is a practical guide intended for practising goldsmiths and is developed from a number of articles by the authors originally published in AJM magazine. 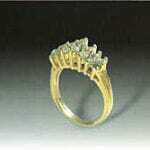 It comprises articles and projects on making and repairing jewellery. 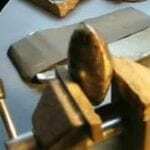 Its aim is to show how one can save time and boost profits when making or repairing jewellery through good practice. It features over 200 colour photographs that illustrate the various steps and techniques.. 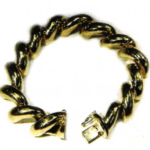 This Charles and Colvard created moissanite (hereafter referred to as moissanite) and two-tone karat gold in-line bracelet requires shortening by two links. 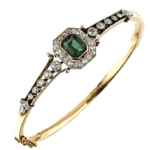 The bracelet is held together by a heavy link-wire that’s wrapped around an open portion of the adjacent link and permanently joined, giving the bracelet maximum flexibility. 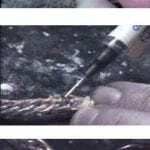 Below is a procedure for shortening, reassembling and permanent welding of the link using pulse-arc-welding technology..
With the popularity of tennis bracelets over the last 20 years replacing broken tongues has become a common repair in the jewelry shop. 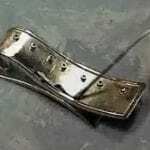 Typically these are replaced by soldering a new tongue in place. 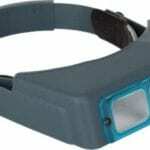 However, using a torch to solder a tongue onto a bracelet creates two problems. An experienced bench jeweler will often be able to create almost any design that doesn’t actually violate the laws of physics. 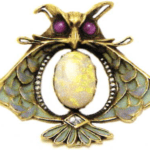 But colored stones are softer and typically less durable than diamonds, and a setting designed for a diamond may spell disaster with an opal or an emerald. 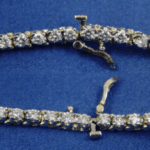 The resulting creation may be beautiful when you first present it to the customer, but if the piece is worn frequently, it’s likely to make a quick return to the jeweler’s bench for repair. 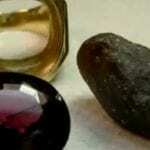 In this article expert gem setters share their tips and warnings for working with colored stones. High precision ring stretcher/reducer featuring a six spline mandrel and 12 polished countersunk dies. 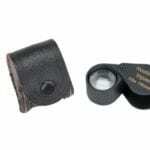 This high-quality ring stretcher ensures exceptionally accurate ring sizing. 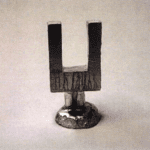 Its countersunk polished steel reducing plate will reduce bands up to 12mm wide. 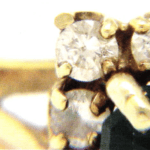 What does it take to be successful at repairing, customizing, and servicing platinum jewelry? First, an understanding of properties unique to platinum. When platinum is mined, it is usually found with one or more of its five sister metals, called the platinum group metals: palladium, osmium, rhodium, ruthenium, and iridium. 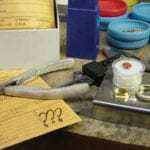 This new Gellar’s blue book set concentrates on jewelry repairs. How to set your price for repair prices and stay profitable with the sensitive customer. One-package set. 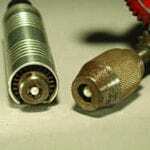 Installing or repairing hinge rivets can be difficult with a torch. 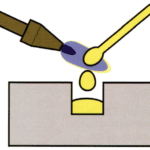 Flooding a hinge with solder and permanently joining a link to adjacent links are among the risks when using a torch and solder. 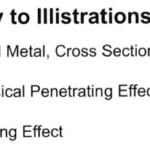 Use of the following pulse-arc welding techniques to weld the hinge rivets will eliminate potential problems and speed up the overall procedure..
Arthritis is a common malady which affects many people as they age. People with arthritis often have enlarged knuckles which make it difficult to wear rings. A ring that barely squeezes over an arthritic knuckle may be so loose on the finger that it slips around and around. 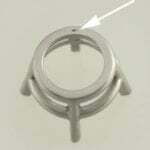 The simplest solution is often to add two beads of metal on the inside of the ring. 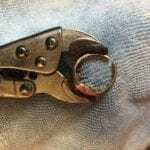 This basic approach works by effectively tightening the ring when it is on the finger. 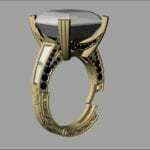 Yet the space between the beads permits the ring to be turned as it is slipped over the knuckle. 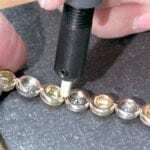 Another situation justifying the addition of sizing beads is when a top-heavy ring spins. 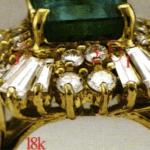 Repair pricing strategies used by the three jewelers. 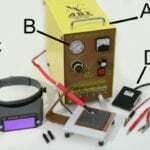 This article covers routine repair and assembly projects accomplished using Mini Pulse Arc III. 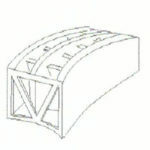 Tack-, fusion- and pulse-arc equipment settings will differ and are based upon the volume, amount of contact and alloy of the material you are working with. 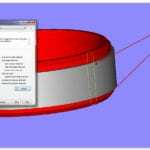 Practicing using like materials will give you a parameter for the settings required for your application. Keep a record of settings and tasks for future reference. 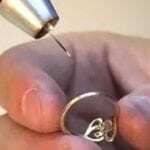 The one tool that allows each of these jewelers to do their jobs better is a laser welder, a technological advancement that is becoming increasingly common in trade shops and manufacturing facilities. 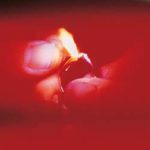 By using a sharply focused beam of light to produce very high heat in a small area, lasers are allowing jewelers to routinely accomplish tasks that would once have been either impossible or too time consuming to be worthwhile. 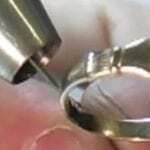 Short video showing examples of what can be achieved, repairing jewellery items with a manual laser welder – the StarWeld Performance from Rofin. 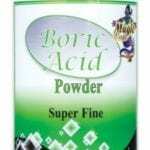 High-grade superfine boric acid powder. Use as high-grade flux and deoxidizing agent. 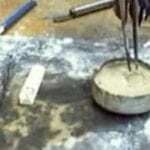 Can also be mixed with denatured alcohol to make soldering flux. This necklace contains Charles ‘ Colvard created moissanite. It has been mistakenly pulled and a few links have broken. 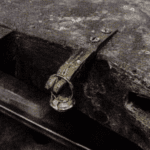 Repairing the links using pulse-arc-welding technology removes the potential to freeze links, reduces the build-up of oxidation and decreases time required for clean-up as opposed to using a torch for the repair. 14-karat yellow gold cultured freshwater pearl and diamond earrings will be repaired as a demonstration of the new Mini Pulse III. 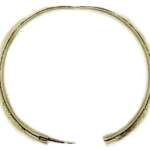 The connecting post and dangle jump rings were not soldered when originally made. One of the dangles has become unattached to the post. 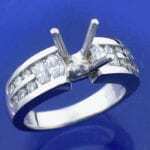 Sizing and torch welding a platinum ring with diamonds channel set down the shank could be risky to the diamonds. 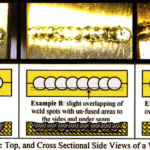 Use of a Pulse-arc Welder for this welding job will eliminate the risk and potential damage. 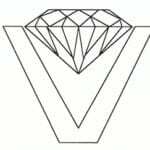 A few years ago, Jewelers Circular Magazine reported that over 75% of all retail jewelers in America lose money on their jewelers.Making a living dealing with labor intensive dollars can be a real headache. It also can be enjoyable and profitable, if it’s done right. Today, you’ll get some very valuable tips on doing it right!. 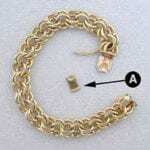 This 14-karat yellow gold heavy bracelet chain has a broken tongue at its critical springy location. 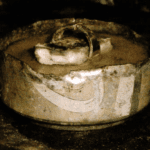 An ideal method for its repair is a non-torch pulse-arc welding approach so the alloy in the mechanism is not annealed or softened in the process. 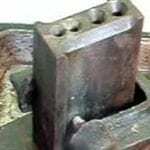 For this repair, the ABI Tack II and Pulse-Arc welders provide the ideal solution. These fashion drop earrings contain oval diamonds weighing 1.78 carats. 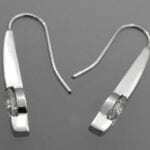 The customer is concerned about loss because of the open design of the ear wires. 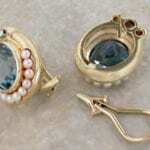 She would also like the earrings to freely dangle and move when worn. To accommodate this request. 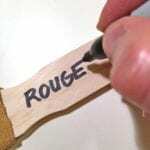 At the counter, you remove the tape with a sharp blade and then slide the ring up a man-drel. Next, you measure Mrs. Moders finger with a set of ring sizers. 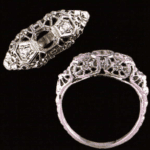 Comparing her finger, size 5 1 / 2, to the ring, size 6, confirms that the ring should be brought down one half-size. 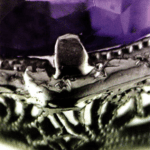 Examine the ring closely. It is marked 14k and you have no reason to. 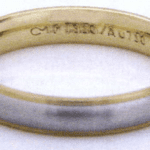 Your customer brings in a silver colored ring marked 925 with a broken shank for repair. 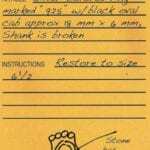 You measure the customer finger as size 6.5 and assure her that the ring will look ‘greatly improved’ when she returns to pick it up in a few days. Back in the shop you begin with a pair of half-round pliers to. 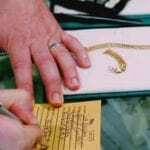 Repairs and alterations of jewelry that has been in families for generations is an ongoing request at retail service departments. 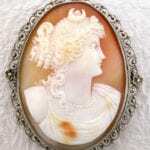 These pieces are not of high value, but they have sentimental value to the owner. 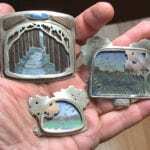 Often these pieces were not made properly, excessively worn or broken. To keep your customers happy, repairs to these pieces are inevitable and this article covers procedures for simplifying the process, minimizing risk and maximizing profit margins for the service department. 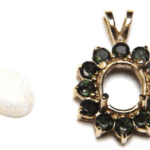 This project shows a challenging repair and reconstruction of earrings with a broken Omega clip and heat sensitive gemstones. The difficulty of chain repair lies in the fact that the chain is made up of fine wires. These wires heat up quickly when trying to melt the solder. Two problems develop. 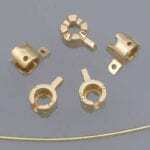 The first is if the wire link gets too hot, it will quickly melt as you are trying to solder. 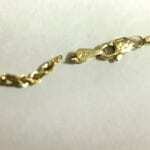 yellow gold wire that will fit snugly inside the link. Ask a seasoned bench jeweler how many rings he or she has sized and they’ll probably give you a figure in the quadruple digits. The following is a compilation of tips and tricks to help you perform this mundane task better and faster. Scott Kay Inc. has a tool that will successfully remove any SK Cobalt(TM) / BioBlu 27(TM) band from a consumer’s finger in under 4 minutes, if such a need arises. Every penny mattered-and that was in the 1980s when gold was $300 an ounce. These days, when $1,100 is the new norm. 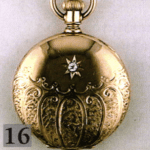 Never before has the notion of careful gold consumption been more important to me and my business. I made it a point to become more aware of what was being used in the shop, and I found many ways to be less wasteful and save money in common repair operations, such as the two described here. 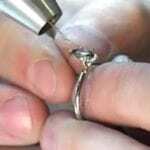 www.BenchJewelersNetwork.com How To Size a Silver Ring with the PUK Welder. 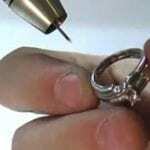 For more videos, and articles on jewelry repair and other bench techniques visit our website. It is not uncommon for moving parts to wear out. 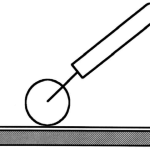 This is to be expected because of increased friction as parts rub against one another. 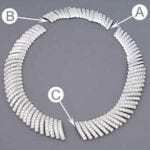 A common example can be found in connecting rings such as the jump rings that attach a charm to a bracelet or a pendant to a chain. 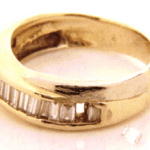 If a section of the ring is worn thin it is usually best to discard. 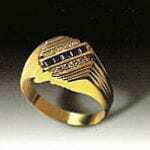 Getting a superior fit on your next custom ring order could be just a few mouse clicks away. Superfit Inc., the King of Prussia, Pennsylvania-based manufacturer known for its tailor-fit shanks, recently launched Digital Installations, a program that enables jewelers and custom designers to download a design template online that allows the trademarked Superfit technology to be incorporated into any rings unique construction-regardless of dimensions or contours. 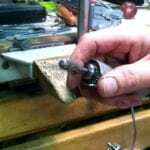 Chain repair is a set of fundamental skills and techniques every goldsmith needs to master, but the structure and design of the chain dictate what you need to do for a successful repair.